Parity@10 will launch in five states – Illinois, Maryland, New Jersey, New York and Ohio, with a key anchor organization working in each state in the first year of the campaign. An additional five states will be added in the second year. The campaign’s work in each state will be broad, ranging from researching the current treatment and policy landscape to conducting extensive public and provider education about the Parity Act, to working with legislators, regulators and Attorneys General to develop more effective compliance and enforcement frameworks. 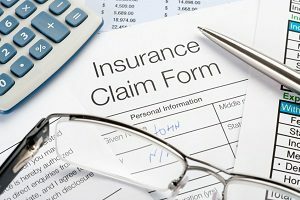 The current enforcement framework primarily relies on consumers to raise issues with Parity Act compliance, but a recent analysis found that insurance plan documents do not generally provide the information necessary for consumers to determine whether their coverage complies with the law. The Parity@10 Campaign will advocate for state regulators to shift to a pre-market, prospective regulatory review process to ensure that plans are complying with the Parity Act before they are sold, rather than continuing to place the burden on consumers to identify Parity Act violations and assert their right to care in the midst of a health crisis. Denise Mariano, a mother from New Jersey and a parent coach for the Partnership for Drug-Free Kids, fought for two years to get her insurer to cover her son’s treatment for opioid addiction, draining her family’s financial resources to pay for out of pocket care as she battled insurance denials. The initial phase of the Parity@10 Campaign is partially funded by each of the following entities: Indivior, Inc., The New York Community Trust, the Open Society U.S. Programs and the Open Society Institute-Baltimore. Parity@10 is a three-year campaign to establish effective models for robust enforcement of the Parity Act in 10 states and to disseminate those models across the country. The campaign’s goal is to ensure that insurance carriers and State Medicaid programs offer fully parity compliant substance use and mental health benefits and put an end to a complaint-driven enforcement model that forces consumers to fight for the evidence-based health care they need and are entitled to receive. The campaign spearheaded by the Legal Action Center (LAC), The Kennedy Forum, The National Center on Addiction and Substance Abuse, Partnership for Drug-Free Kids and the Research & Evaluation Group at Public Health Management Corporation.